Opening the bottle and it smells like gin. Actual gin. Juniper. Fresh rain (hi coriander). Zingy. In the glass it is pine all the way, and a whack of ethanol. Adding a splash of water rids your nose of the ethanol and allows the bergamot to blend perfectly with the juniper on the nose. On the tongue it has a nice heat to it, I imagine that’s from the 49% gin I’m sipping neat. It louches ever so slightly, turning a tad milky. The citrus from the bergamot adds a lightness to it, balancing the heavy juniper. 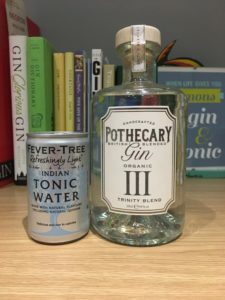 Mixed with some Fever Tree light tonic, and the louching is more obvious and the flavour balance changes. It is still quite peppery but it takes on a herbal quality. 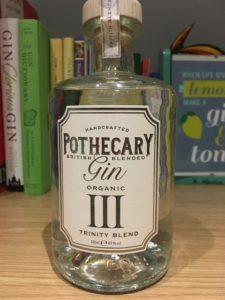 It has a long, slow finish as the flavour verges on perfumed – like their British blended version which contains lavender it isn’t overpowering or soapy, just enough to lift it at the end. 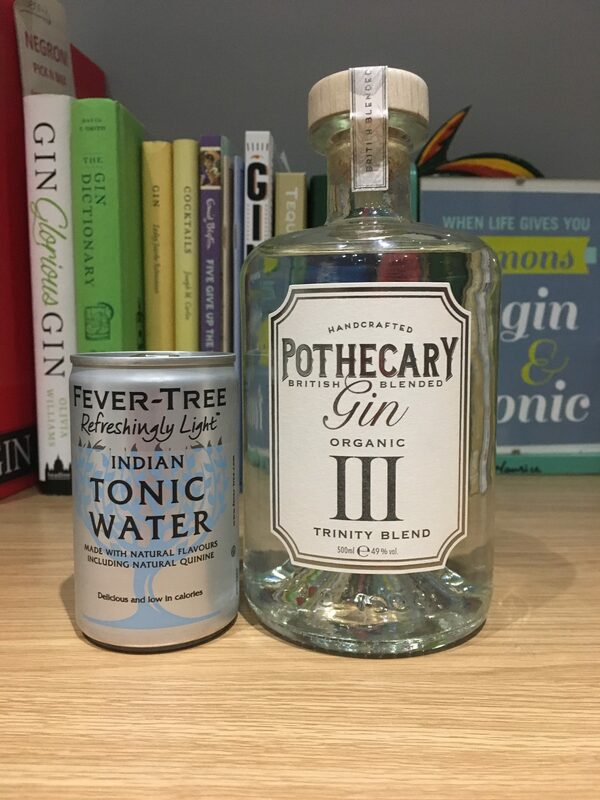 I can’t really find where this is available yet – I’ll keep asking and update when I can – but you can get your hands on the rest of the range via Gin Kiosk here ranging from £39-£55 (at time of writing). 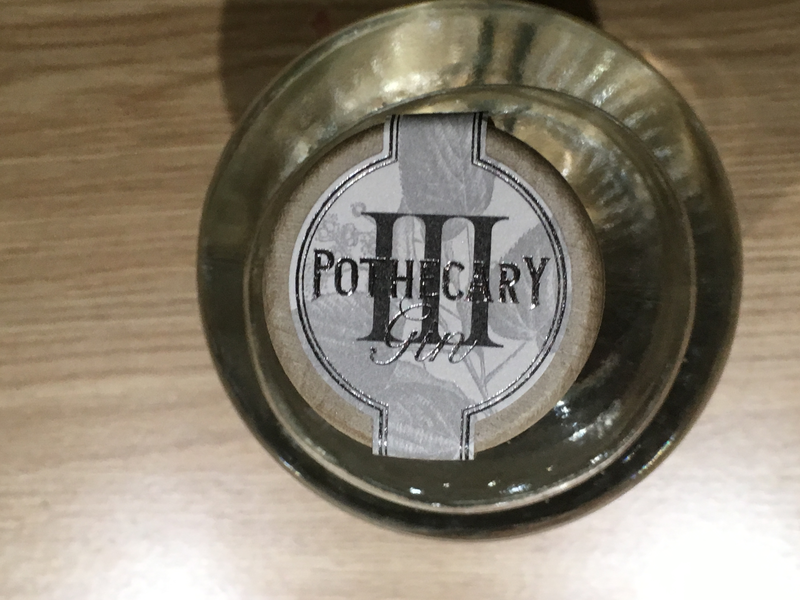 You can find Pothecary on Facebook, Twitter and Instagram. Have you tried Trinity blend? Or any of the Pothecary range? Let me know your thoughts on Twitter and Instagram.